Apple’s macOS Mojave has shipped with a new feature called Dynamic Desktop which enables you to automatically change the desktop wallpaper based on time of the day. The feature automatically sets a new wallpaper for every hour of the day. 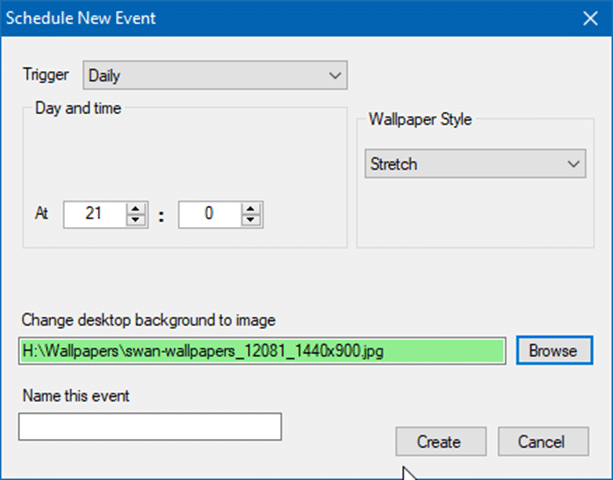 As you likely know, Windows 10 (Windows 7 and Windows 8 as well) supports automatically rotating wallpapers, but the desktop slideshow feature in Windows operating system cannot change the wallpaper based on time of the day. It can change wallpapers at select intervals only. Although you configure it to rotate every hour, it doesn’t work if you turn off your PC. If you are looking for an easy way to automatically change Windows 10 wallpaper based on time of the day, you will need to use third-party programs. 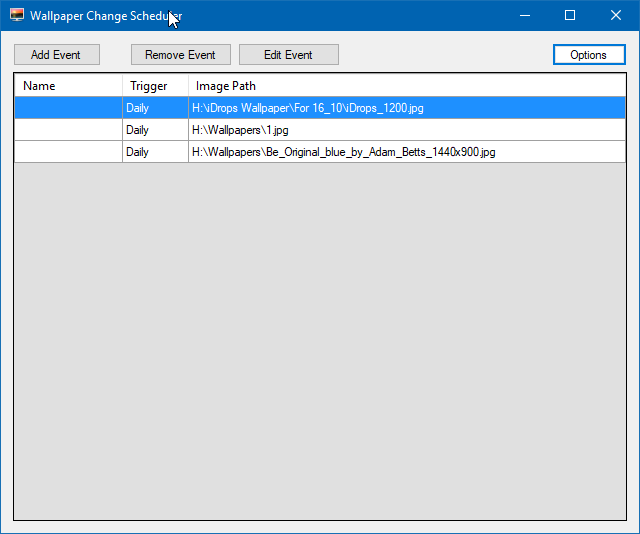 Wallpaper Change Scheduler is a free program designed to enable Windows 10, Windows 8 and Windows 7 users to automatically change the wallpaper based on time of the day, during login, daily or weekly. With Wallpaper Change Scheduler, you can have a new wallpaper for every hour of the day! Having a new wallpaper for each hour of the day with Wallpaper Change Scheduler is quite easy. After downloading and running the program, you just need to configure the program. After launching the program, click Add Event button. Select the Trigger as Daily, select the time at which you want to change/rotate the wallpaper, and select the wallpaper that you want to set at the selected time. Click Create button. If you want to change the wallpaper based on time of the day, you need to add a wallpaper for every hour of the day. That is, you need to create a total of twenty-four events (one event for every hour) with twenty-four different wallpapers. The program was originally developed for Windows 7 and has not been updated for a long time. However, Wallpaper Change Scheduler is fully compatible with Windows 10 and works as if it was developed for Windows 10. We have been running it on our test machine for the past few days, and it’s happily setting new wallpaper every hour for us without any complains! In fact, you can have a new wallpaper for every minute of the day! Wallpaper Changer Scheduler program sits in the system tray area of the taskbar from where you can launch it by double-clicking on its icon. Visit the following page to download Wallpaper Change Scheduler program.